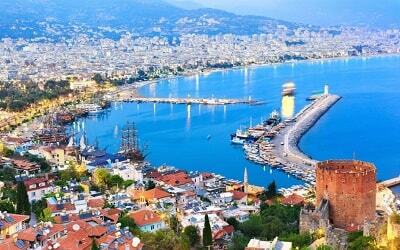 If you want to visit an exotic beach during your holiday in Turkey, Icmeler Cleopatra Island tour is the best offer for you. 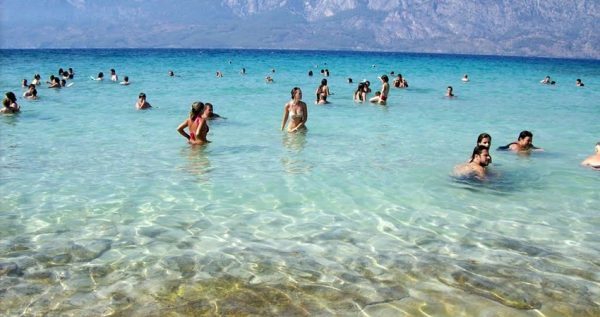 Cleopatra Island is a part of an island group very close to Icmeler, gorgeous golden beaches of this island attracts thousands of people every year. Cleopatra, also known as Sedir Island is famous for its uniqe golden beach and the remains of the ancient city Cedrae. 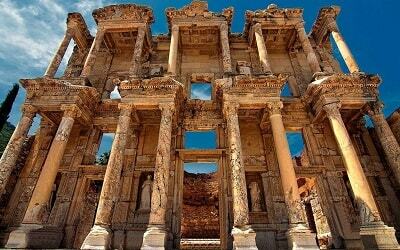 Most visited places on this beautiful island are ancient theatre ruins and a lovely beach in the small bay on the northwest where it’s believed Cleopatra used to swim. Cleopatra Beach is under conservation by the government, and visitor are not allowed to take any sand with them. It’s even forbidden to spread your towels on the beach as the sand will stick on to them. Legend says that the pale-pink sands on this beach have been brought by ships from North Africa, to please Cleopatra. Apparently, that type of sand can only be found in Egypt, and Mark Anthony shipped it here, because Cleopatra was nostalgic and homesick. On the east part of this great island, there is an Agora where, according to epigraphs, athletic festivities have been organized. When the tour starts you first will be driven through amazing nature surroundings of Çamli village which is located approximately 25 km from Icmeler. 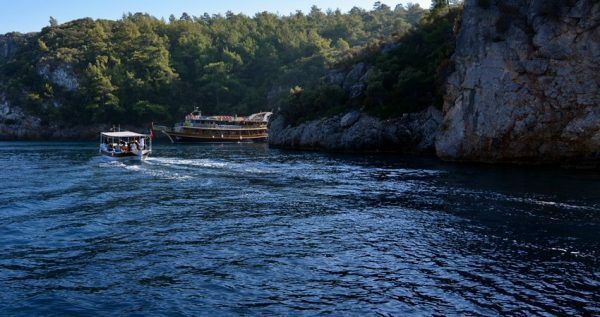 After that short and comfy drive, you will get to our gorgeous double-decked boat and start your sailing through Gökova Gulf. 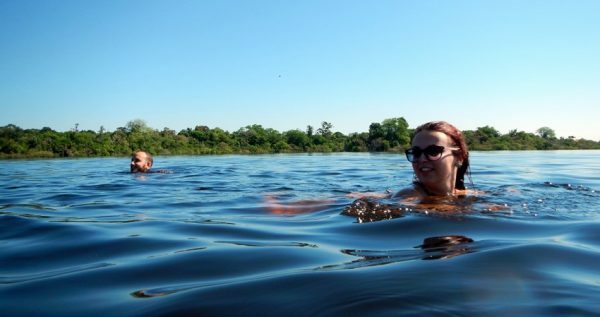 During the trip we will take two exciting brakes for swimming, and we’ll have some delicious barbeque for lunch. 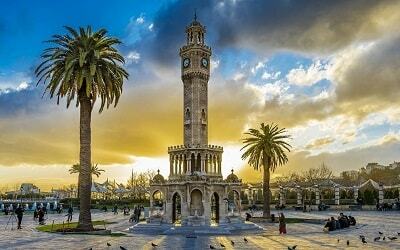 After that you will get some free time at Cleopatra beach. While traveling back to Icmeler you will again have opportunity to take a swim at a wonderful Lighthouse Island. 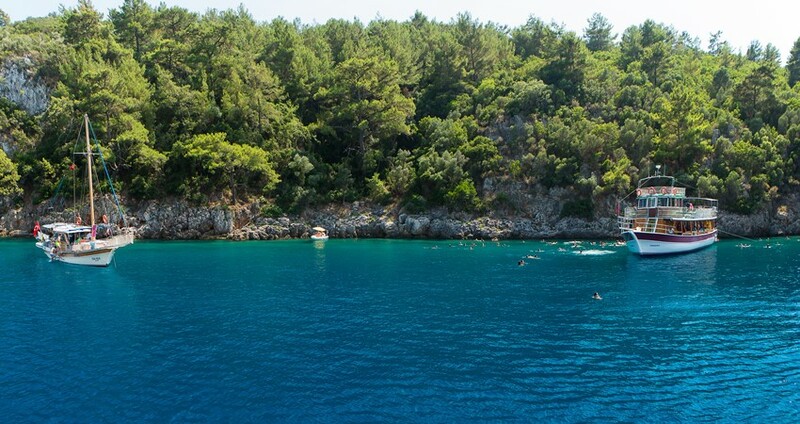 Two swim breaks will take place at Ince Kum bay and at the Lacivert Koy. Those are also great locations for diving and snorkeling. 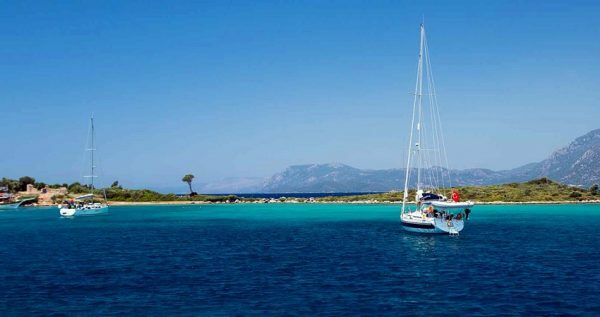 While spending time on Icmeler Cleopatra Island you will get a chance to be as active as you want, and explore some ancient history as well. 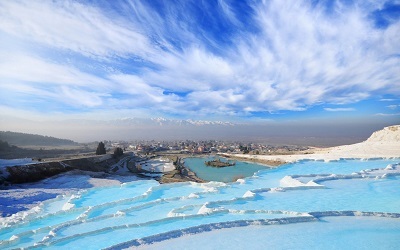 Fresh air, clean transparent water, beautiful landscapes and history sites guarantee a unique and memorable experience. 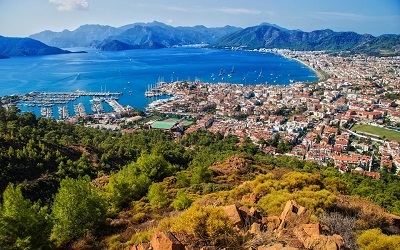 Icmeler Cleopatra Island Tour starts with a visit to the charming village of Çamlı, located about 17 Km north of the city of Marmaris. You will be traveling in our spacious and cozy minibus, and you will get to enjoy the gorgeous countryside fringed with green farmlands and emerald pine forests. 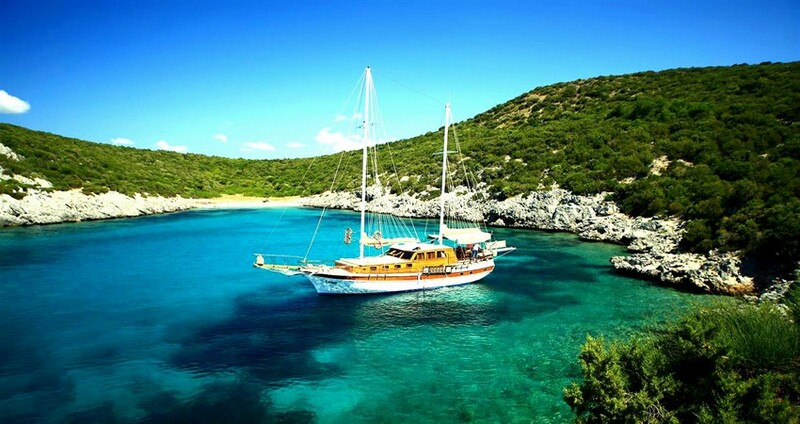 Once we arrive to Çamlı, we will board our boat and start our sail over the Gökova Gulf. Our second visit will be to the Ince Kum, a National Park, famous in this region for its fine golden sand and transparent, turquoise waters. 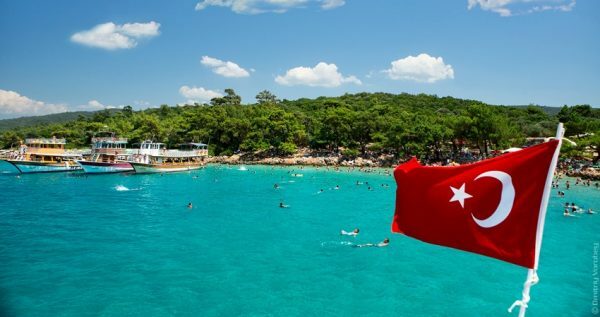 Ince Kum actually means ‘fine sands’ in Turkish language. We will have our first 40-minute long swim break on this marvelous beach, so you can snorkel, swim, or just sunbathe on the beach. 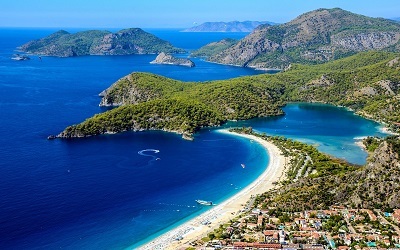 Next, we will visit a very popular bay at the Gökova Gulf called the Deep Blue Bay. The waters here are particularly deep which gives them that royal-blue shade, hence the name Deep Blue Bay. 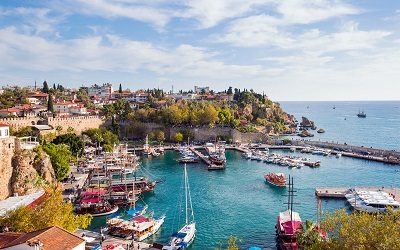 Because of its depth and location, this lovely bay is also a popular stopping point for yachts. We expect to reach the Cleopatra Island by midday, and once we arrive we will have a tasty Turkish lunch, after which you will get some free time to take a stroll and explore the island by yourself. 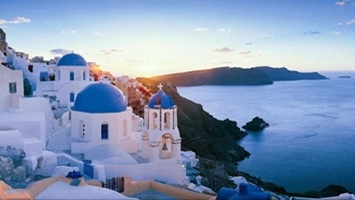 Apart from the amazing historical remains, this beautiful island also offers some delightful cafeterias and toilets on the island, so you will be able to freshen-up as well. 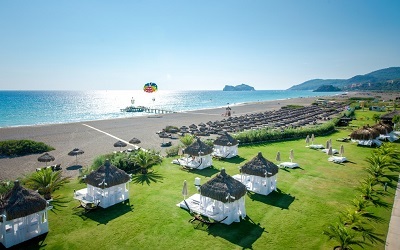 During this break you can swim, sunbathe on the famous beach which Queen Cleopatra herself loved visiting, or explore the rural parts of this charming island. One of the most peaceful and secluded places in the Gökova Gulf is the Lighthouse Island. 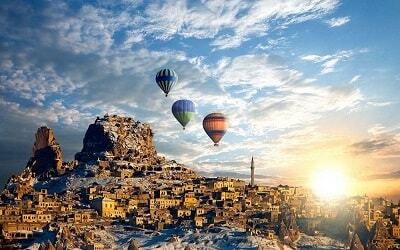 This island is part of the National Park and is under the protection of Turkish government and law. 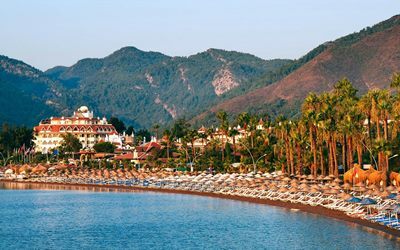 During the 40 minutes spent here, you will be able to swim, snorkel or sunbathe on the lovely beach. Our wonderful Cleopatra Boat tour lasts for about 7 hours. 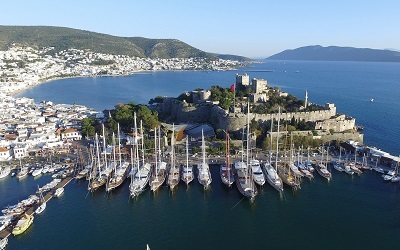 Once we get back in the harbor, our shuttle buses will be waiting to take you back to your hotel in Icmeler. If you like to discover untouched bays & islands, Aegean Islands Boat Trip might be an offer for you.